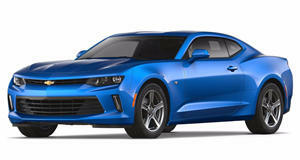 While you were celebrating the ZL1 1LE, Chevy was already preparing its next move. The reveal of the Chevrolet Camaro ZL1 equipped with the proven 1LE handling package is the latest attempt on the Mustang GT350’s life, but the bowtie wants to truly kill Ford dead because as we’ve just learned via Car and Driver, there’s another hot Camaro model brewing within GM’s factories and it could somehow outdo our new ZL1. Before the 1LE package came to the ZL1, the Z/28 was the Camaro you’d pick for any track day that didn’t involve straight tarmac stretching a quarter mile towards the horizon. Car and Driver previously speculated that the Camaro that debuted as the ZL1 1LE would be called the Z/28, and while the publication was proven wrong, it claims that Chevrolet is saving the Z/28 nameplate for a more powerful model. To give you a bit of a refresher, the ZL1 already makes 650 horsepower courtesy of a 6.2-liter supercharged V8, so any drastic alterations made to send that figure north would put the Camaro into Hellcat territory. Unlike the Hellcat (and likely the Demon), the Z/28 Camaro will be tuned for the race track rather than the drag strip. To keep up with the Hellcat, Chevy could bestow the car with 700 or more horsepower coming out of a naturally aspirated engine. There’s also a possibility that the Z/28 will be used to debut the new supercharged pushrod V8 that will soon make it into the 2018 C7 Corvette ZR1. However, Car and Driver is guessing that the V8 will instead be the dual overhead cam engine we recently heard about. That tantalizing festival of high-octane fireworks will be called the LT6 or LT7 and come with 750 or so horsepower complete with aluminum block and head construction, a flat crankshaft, titanium connecting rods, and direct injection or a combination of port and direct injection. Thanks to dual turbochargers, that level of power will be squeezed out of only 5.5-liters, making this one of the most impressive V8 engines on the market. Such a powerpoint would be too good to not share with the rest of the lineup, and we should expect that to make it to future Cadillac V models as well as the Corvette C8. Only time will tell, but if this speculation holds any water, then GM will give some serious competition to some of the best cars this world has to offer if the ZL1 1LE didn’t inform you of that already.